Two years ago, Jeremy Renner faced a dilemma. The solution? Mix pleasure with business. Yes, Renner, a Modesto native, is a devoted fan, which explains his involvement in a two-part film examining the rivalry between the 49ers and Cowboys. The first installment of “A Tale of Two Cities” will air at 5 p.m. Tuesday on NFL Network. The second part will air Saturday night following the Cowboys-Jets game. Renner and another actor, Sam Elliott, are narrators for a film that details the rivalry between two prominent franchises that reside in cities with stark cultural differences. Two other high-profile 49ers fans - former Secretary of State Condoleezza Rice and comedian Rob Schneider - also appear in the film. 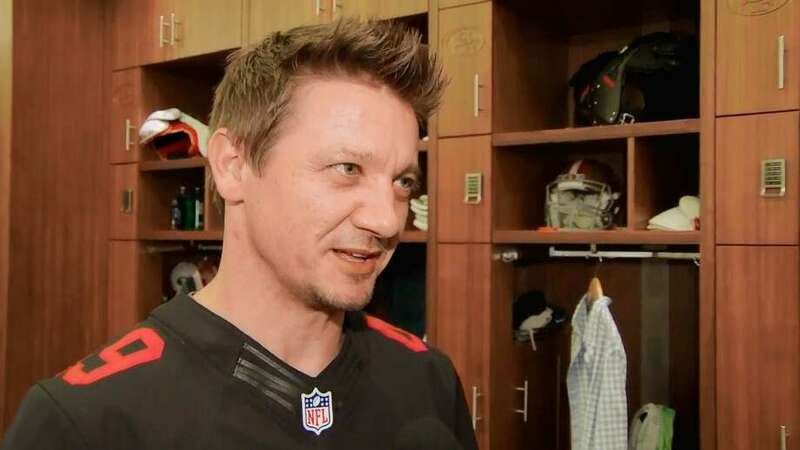 Renner, 44, began following the 49ers when he was 8, roughly the same time they went from patsy to power and won their first Super Bowl in January 1982 (“It was pretty good timing,” he said). He now lives in the Lake Tahoe area and Los Angeles, which he notes allows him to get the Bay Area for 49ers’ games on 45-minute flights. He’s attended three home games this season. Last year, Renner’s production company, The Combine, produced a brief documentary that appeared on the team’s web site in advance of the 49ers’ first regular-season game at Levi’s Stadium. This season, of course, there haven’t been many memorable moments to document. On Saturday, before the 49ers fell 4-9 with a 24-10 loss to the Browns, Renner said he was keeping the faith, although it “broke his heart” to see one of his favorite players, quarterback Colin Kaepernick, struggle this season.